Tessa was designed with simple techniques to reflect the exquisite beaded purses of another era. 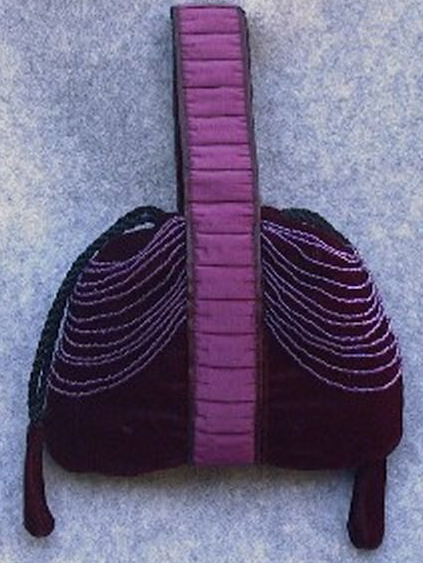 The purse is worn over the wrist with a ribbon adorned handle that runs the entire depth of the purse. Tessa closes with tasseled drawstrings.